We got it! The solidarity and commitment of the citizens have allowed us to have collected 456,178 kilos of clothes and footwear used during the European Week of Waste Prevention recently completed. The proper management of these garments will allow the emission of 1,445 tons of CO2 into the atmosphere, 21% more than in the same period of the previous year. A great success thanks to the donors! 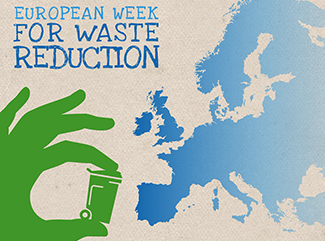 The European Week of Waste Prevention (EWWR) has been held from November 18 to 26, nine days during which the Foundation has collected 20% more used textiles than in the same period of the previous year: if in the 2016 edition they were 377 tons, this time the figure has risen to 456. A success thanks to the increased awareness of the importance of properly managing the textile waste to turn it into a resource. With the selective collection of these 456 tons, it is avoided to be sent to a waste treatment center for incineration or elimination, so the benefit for the Planet translates into a reduction in emissions estimated at 1,445 tons of CO2. The motto chosen for the Day of the Prevention of Residues, axis of the European Week of the Prevention of Waste, has been "Give it a new life!". Based on this theme, the organization has carried out fifteen activities to raise awareness about sustainable resources and waste management. 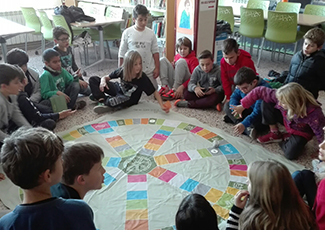 Thus, eleven "Hay Ropa Tendida" workshops have been organized in Rubí, La Llagosta, El Vendrell and Montgat (Barcelona), Sarrià de Ter (Girona), Castrillón (Asturias), Miramar (Valencia) and Madrid and Leganés (Madrid). With the help of Caprabo supermarkets, one of Humana's most important private collaborators in Catalonia, nearly 9,000 informative brochures have been distributed among their customers about the importance of waste prevention and reuse. In addition, in the supermarket of El Vendrell we organized the workshop 'Hay Ropa Tendida' and in El Masnou the exhibition "The second life of clothing and global sustainability" was exhibited. Other traveling exhibitions have been seen in Castropol (Asturias), Vilablareix (Girona) and Vallgorguina and Sant Llorenç Savall (Barcelona). As a specialist in preparation for reuse, Humana manages donations of clothing and footwear used by citizens in order to obtain the maximum use of textile waste, giving it a second life and thus favoring a circular economy model. Around 9 out of 10 used garments are likely to have a second life through reuse or recycling. Moving from a linear to a circular economy model is essential for the sustainability of the fashion industry and, by extension, for the Planet. Applying an appropriate management in the last part of the life cycle of the textile it is possible to reintroduce it in this cycle, either as second-hand garments or as other products.